Installer crashes when trying to install AND manual install doesn't work either. The game instantly crashes. No overlays, screen recorders, streaming software, game boosters, forced settings through the driver, ...? Nope. Shadowplay is turned off, even Nvidia streamer service is disabled. DMC4:SE ONLY uses DirectX10 renderer as it's primary renderer unlike DMC4 since you had an ability to use DX9 or 10 at your will. 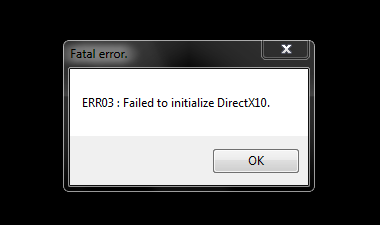 sFX 1.5.1 also doesn't seem to work, crashes the game. I'm on WIndows 7 by the way. And as always 1.5 works flawlessly. 1.5.1 just crashes without any errors, Windows just says that it stopped working. I think it's not just for me since there are no new profiles created in SweetFX database for DMC4:SE and it's a "new" game which launched yesterday. 25/06/2015 02:06:55:720  | INFO | > Delayed. 25/06/2015 02:06:55:721  | INFO | > Delayed. 25/06/2015 02:06:55:721  | INFO | > Libraries loaded. 25/06/2015 02:06:55:738  | INFO | > Installed 2 hook(s). 25/06/2015 02:06:55:739  | INFO | > Delayed. 25/06/2015 02:06:55:740  | INFO | > Delayed. 25/06/2015 02:06:55:740  | INFO | > Libraries loaded. 25/06/2015 02:06:55:802  | INFO | > Installed 5 hook(s). 25/06/2015 02:06:55:803  | INFO | > Libraries loaded. 25/06/2015 02:06:55:876  | INFO | > Installed 8 hook(s). 25/06/2015 02:06:55:876  | INFO | Initialized. 25/06/2015 02:06:55:962  | INFO | > Adding 'CS_OWNDC' window class style flag to 'DEVIL_MAY_CRY_4_SPECIAL_EDITION'. 25/06/2015 02:06:55:968  | INFO | > Installed 2 hook(s). 25/06/2015 02:06:56:133  | INFO | > Installed 9 hook(s). 25/06/2015 02:06:56:255  | WARN | > 'D3D10CreateDeviceAndSwapChain' failed with 'E_NOTIMPL'! 25/06/2015 02:07:12:055  | INFO | Exited. So are you going to look in to this problem? And if yes, are you going to release a hotfix or wait for another major release? Is this installed: www.microsoft.com/download/details.aspx?id=36805 (required)? Hm I don't think so. I only had a very old Windows SP1 disc when I re-installed Windows so I didn't download any updates, too much time and bandwidth. I don't care about system weakness either since I don't store any important data on my gaming PC. Will download this update and try it out and thanks. You should also put requirements and frequent problem fixes under the download button in big red letters. Agreed. We really need some sort of FAQ. Ok I re-enabled Windows Update service, installed the update, restarted PC and fired up the game. Reshade framework seems to work now without problems. And another question, why the installer might be crashing for me all the time? Am I missing something again? This is what the "signature" says under the crash popup. And sorry for taking your time. Mmh. Which .NET Framework version do you have installed? .NET 2, 3, 4 or 4.5 (you can check at the uninstall page in the control panel). Sorry that it took so long, went to sleep since when I was last writing it was ~3:30 am so I went to sleep. Here is the list of all redistributables. What am I missing? There's the problem. The setup was built against .NET framework 4.5, while you still have 4.0 installed (4.0 is installed via Windows Update, while the upgrade to 4.5 needs to be done manually, AFAIK). I'll rebuild it against 4.0 for future releases, as it still seems to be common. So it would be great if you'd add that Windows update and minimum version of required NET_Framework for Reshade Framework to work somewhere near the download section. Since this came up multiple times already now, I decided to take another look at the issue with ReShade not working without that platform update and managed to fix it. The platform update is no longer required starting with the next ReShade version.